In a voice choked with emotion, Miami Marlins coach Don Mattingly, recalled the "joy" of watching pitcher Jose Fernandez play baseball, during a press conference on Sunday. Fernandez, 24, died in a boating accident early Sunday morning, along with two other men. "I see such a little boy in him with the way he played," Mattingly told reporters, speaking haltingly and visibly distressed. "There was just joy with him when he played, and when he pitched. And I think that's what the guys would say, too." "As mad as he would make you with some of the stuff he would do, you just see that little kid you see when you watch kids play little league or something like that," the coach added. "That's the joy Jose played with and the passion he felt about playing." 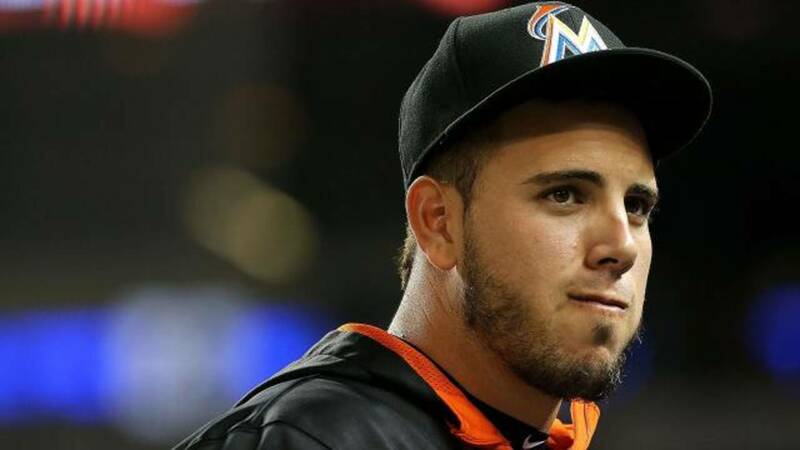 Fernandez was a rising star and his death has understandably hit the baseball community hard. Major League Baseball tweeted a heartbreaking video of Marlins infielder Dee Gordon kneeling at the mound in front of an impromptu memorial with Ferndandez's jersey number, 16, and a baseball cap. Friends, teammates and fellow baseball pros took to social media to mourn their loss. "I'm still waiting to wake up from this nightmare. I lost my brother today and can't quite comprehend it. The shock is overwhelming," wrote Marlins teammate Giancarlo Stanton in an emotional Instagram post. "What he meant to me, our team, the city of Miami, Cuba & everyone else in the world that his enthusiasm/heart has touched can never be replaced. I can't fathom what his family is going through because we, as his extended family, are a wreck. "I gave him the nickname Niño because he was just a young boy amongst men," he continued. "Yet those men could barely compete with him. He had his own level, one that was changing the game. EXTRAORDINARY, as a person before the player. Yet still just a kid, who's joy lit up the stadium more than lights could. A kid whose time came too soon. One that I will miss & never forget. Rest In Peace Niño, Jose Fernandez." Hall of Famer Mike Piazza also weighed in, tweeting, "Shocked and saddened at the news of #JoseFernandez passing, a tragic end to a man with talent and passion, May the Lord grant eternal rest." Los Angeles Dodgers outfielder and fellow Cuban Yasiel Puig tweeted a photo of himself with a smiling Fernandez, captioning it, "You loved striking me out, and teasing me about it. I'm going to miss you bro." "I'm proud to have called Jose Fernandez my friend and teammate," wrote former Marlins player Grant Dayton. "He always made me smile. I will miss him and my heart breaks for his family." More reactions poured in as the news spread. Just last week, Fernandez posted a beautiful photo of his pregnant girlfriend looking forward to welcoming their first child. "I'm so glad you came into my life," he wrote. "I'm ready for where this journey is gonna take us together. #familyfirst." Fernandez was born in Cuba but defected to America in 2008, saving his mother's life when she was washed overboard along the way.